So…I learned that when you travel alone, you can’t really get too many pictures of yourself. And I like scenery shots as much as the next person…that is to say that they get boring after a while and sometimes you just want to see a familiar face. Plus, you have to prove you were actually there and you didn’t just pilfer the pictures off the internet and claim you were there! And so I offer you my narcissistic series of Kristy in Europe photographs, taken by….Kristy….while she was….in Europe. But before you look, you should know a few things. One is that while my arms are extremely long (my brother often refers to me as a knuckle walker), it turns out that they are not long enough to make me appear to be standing next to the monuments. I am just HUGE, right in front of them. 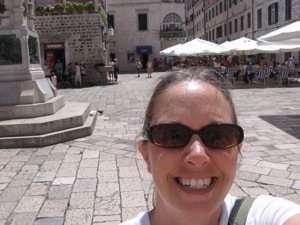 This is me in the old city of Dubrovnik, Croatia. 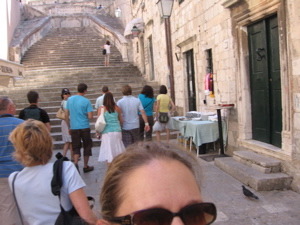 This is me, near yet another huge bunch of steps in Croatia. 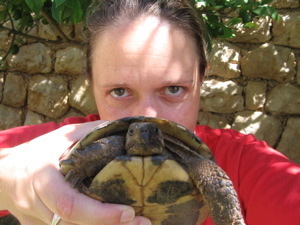 This is me, with my lizard cousin, the tortoise. We found a bunch of them at our hostel in Croatia. 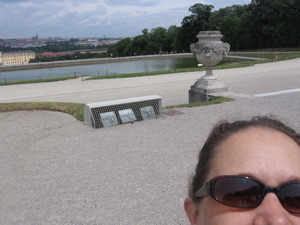 This is me, on the winding path in the gardens at Hofburg Palace in Vienna. 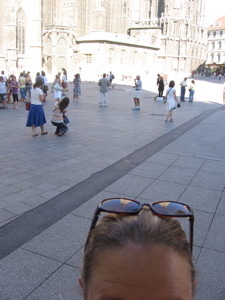 This is me, in Stephensplatz in Vienna–where the old, old gothic church is. This is not me. 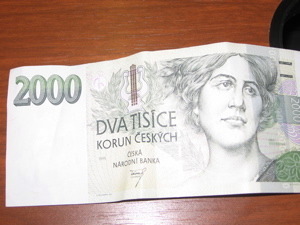 But it is a 2,000 koruny bill from the Czech Republic. I felt cool passing that off. So what if it was really only worth about $16 USD????!!!! 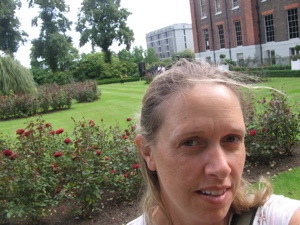 This is me, in the gardens right outside of Kensington Palace, London. 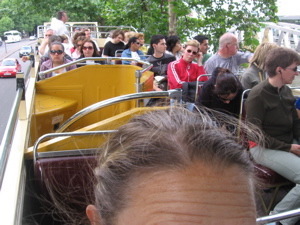 This is me, on one of those double decker sightseeing buses in London. 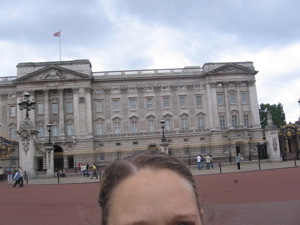 This is me, at Buckingham Palace, London. This is not me. I know—you could tell by the shiny black hair. I loved these guys. They were so serious with their big steps and big hair hats. You will see many more photos of these dudes in the coming days. 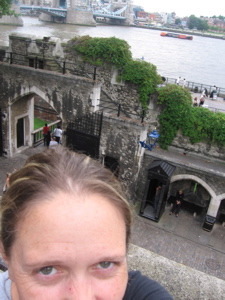 This is me, in the old palace, overlooking the Thames River, London. 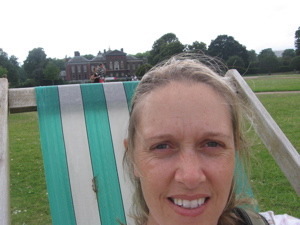 This is me, sitting on an apparently unpaid-for chair in Hyde Park, from which I was later evicted. 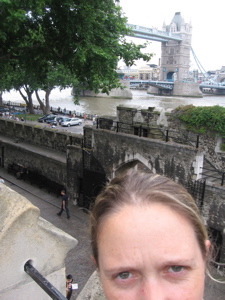 This is me, in front of the London Tower Bridge, in…..you guessed it….London! 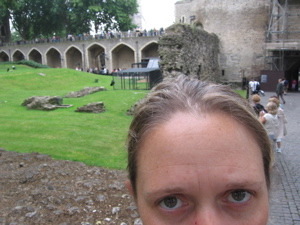 This is me, at the London Tower, which was also the old palace, used before Buckingham Palace. 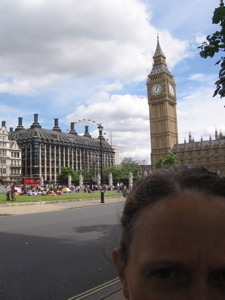 This is me, in front of Big Ben, London. Can you name the movie that made this line famous: “Look kids, there’s Big Ben! Look kids, There’s Big Ben!” They said it over and over again. So that was all that was in my mind when I was there. So there you have it. Pictures of me. That ought to keep you occupied (or horrified, depending on how you look at it) until I have enough time to get all 250 pictures into albums so you can see them all. Did you get one of them to crack a smile? The black-haired dudes… I love the forehead pics! 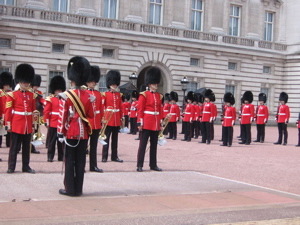 London has now reached my list of must see places. Glad you had fun and can’t wait for you to get home!